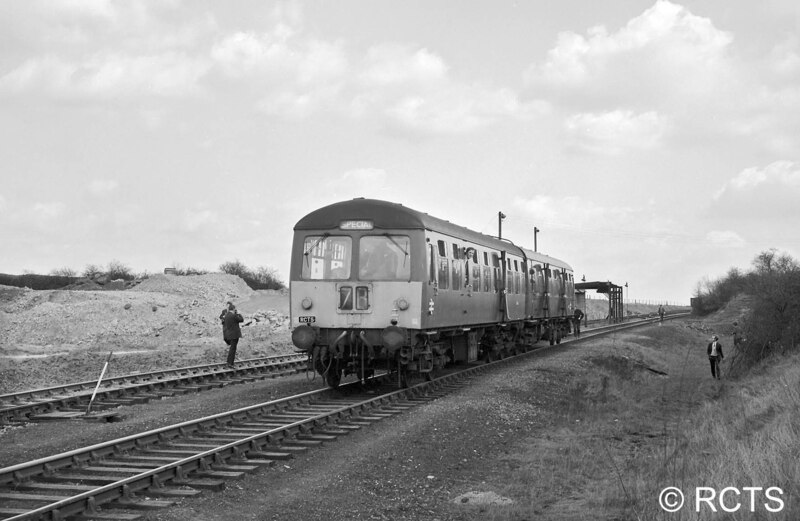 Following up the interest sparked by our Railways Rediscovered pages, featuring the Woolsthorpe Branch and its ironstone connections, we have 'rediscovered' a number of almost forgotten railtours which travelled over local mineral and goods branches in the 1950s, 1960s and 1970s. Here is a list of those we've found, along with some photographs. If you have photographs taken at locations other than those we've featured, or you know of similar rail tours, please let us know. 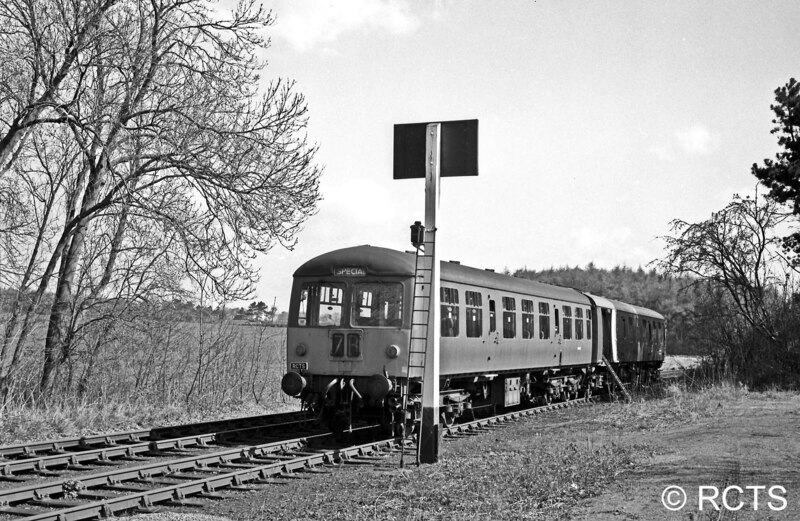 It's worth remembering in connection with these tours that operating a passenger-carrying train over branches and sidings which are not equipped for passenger traffic involves much planning for railway staff in terms of special arrangements and instructions for working the trains safely and according to the rulebook. 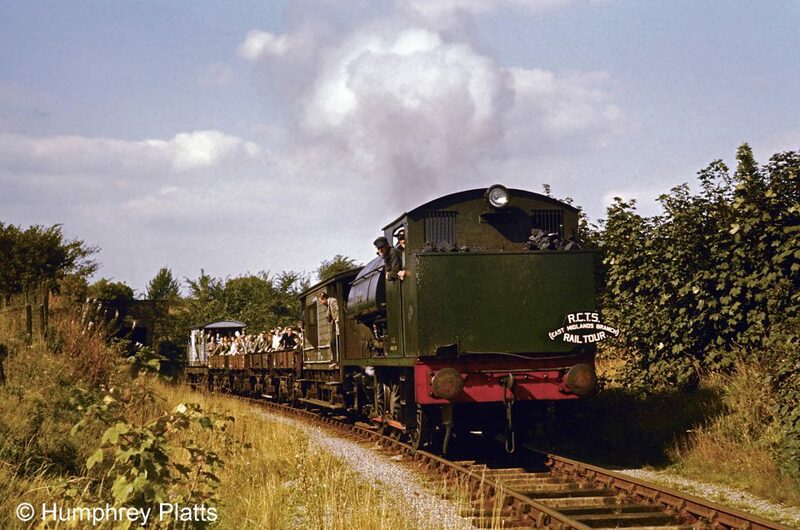 With special thanks to Humphrey Platts for facilitating reference to The Railway Observer and to the Six Bells Junction website for its wealth of information about rail tours. Below are more photographs of the tour, at its beginning and end. 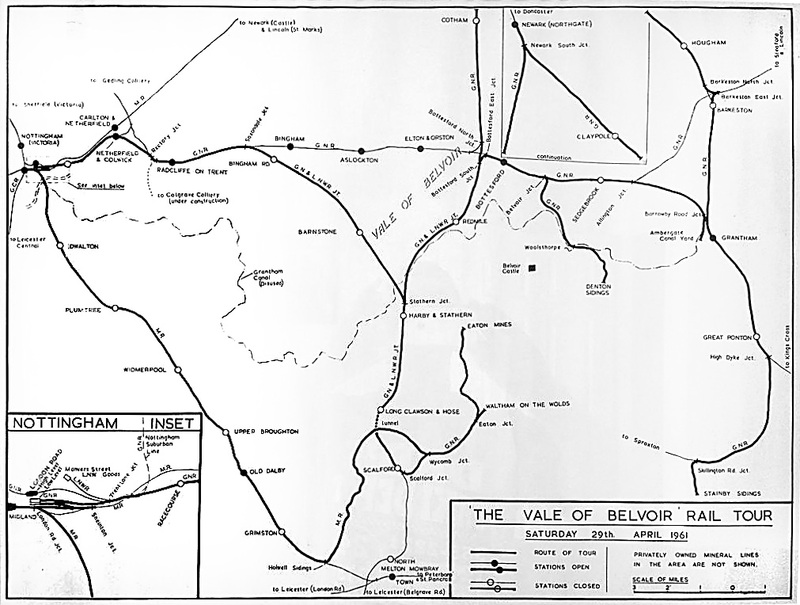 Richard Marshall kindly supplied this map of the route of The Vale of Belvoir Rail Tour of 29th April 1961. On the day the Woolsthorpe Branch to Denton Sidings was omitted from the itinerary, but it was picked up by the following September's Denton / Harlaxton Rail Tour. 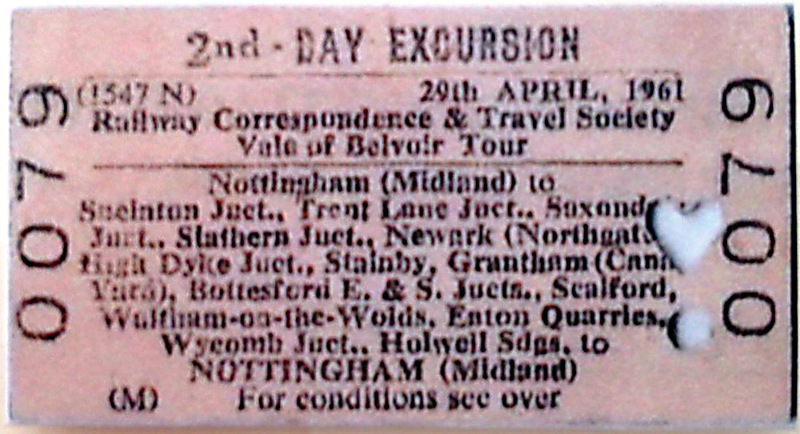 A ticket for The Vale of Belvoir Rail Tour. Photograph kindly provided by Richard Marshall. Here the special train has just passed under the road bridge near Stenwith, between Belvoir and Casthorpe Junction. Photograph taken by Humphrey Platts. At Casthorpe Sidings the party of more than 100 climbed into four open wagons for a trip to Harlaxton Quarries. The special train has just passed through the A607 road bridge. It's hauled by one of the quarry locomotives, 'Achilles', with Driver Steventon and Fireman Clapton in the cab. Market Overton Yard - Buckminster Quarries (including Thistleton, No. 15 and No.16 Quarries) - Buckminster Yard - Stainby Sidings [Stewarts & Lloyds (Minerals) Ltd. steam locomotives Juno and Sewstern]. Information from The Ironstone Quarries of the Midlands, Part VIII South Lincolnshire by Eric Tonks, pages 46-47. Woolsthorpe Quarries - BR Denton Sidings - BR Casthorpe Sidings - Harlaxton Quarries [Stewarts & Lloyds (Minerals) Ltd. steam locomotive Ajax]. Information from Eric Tonks The Ironstone Quarries of the Midlands, Part VIII South Lincolnshire, page 158 and Part IX Leicestershire, page 182. Stainby Sidings - Buckminster Yard - Buckminster Quarries - Market Overton Yard [Stewarts & Lloyds (Minerals) Ltd. diesel-hydraulic locomotive No. 21 - formerly British Railways D9552]. Information from The Ironstone Quarries of the Midlands, Part VIII South Lincolnshire by Eric Tonks, pages 46-47 (includes photo). Stewarts & Lloyds (Minerals) Ltd. 0-6-0 No. 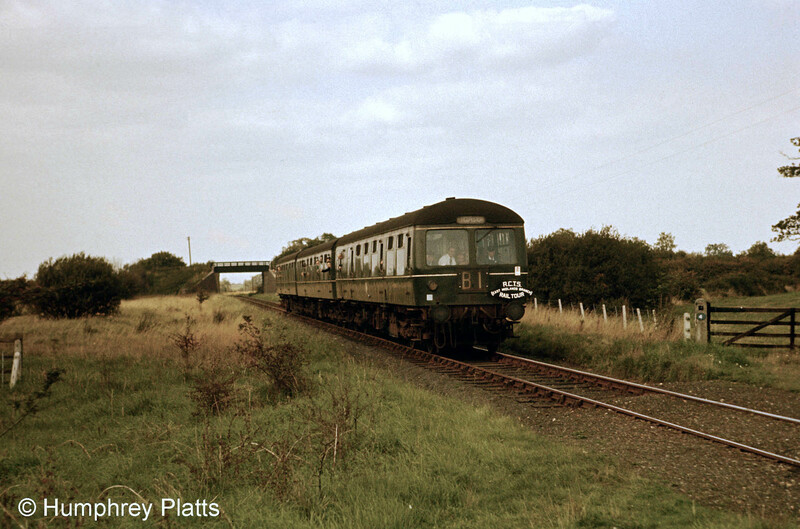 21 at Stainby Sidings on 28th September 1969. This image is from the collection of The Railway Correspondence and Travel Society (RCTS) ref. FAI5025 and is used here with permission. The RCTS 'Kesteven Ironstone Branches' rail tour at Denton Sidings on Saturday 15th April 1972. 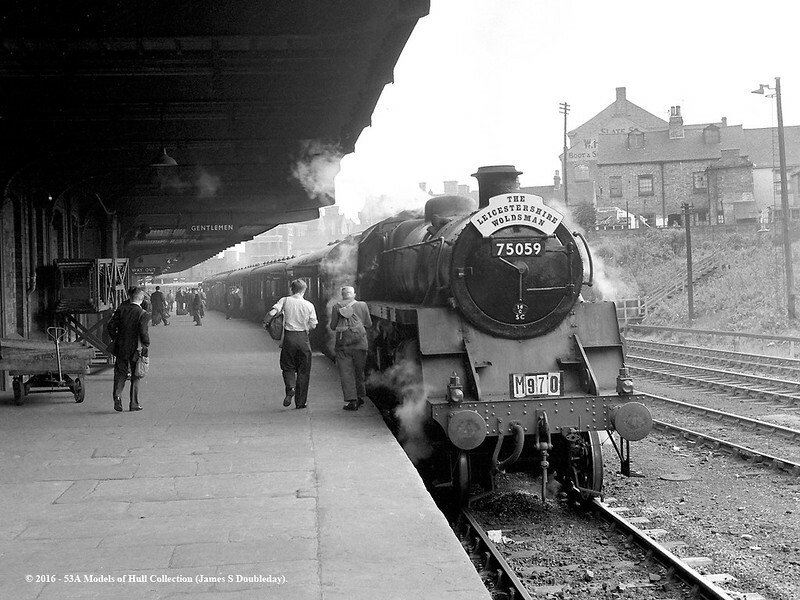 This image is from the collection of The Railway Correspondence and Travel Society (RCTS) ref. FAI2524 and is used here with permission. The RCTS 'Kesteven Ironstone Branches' rail tour at Sproxton on Saturday 15th April 1972. 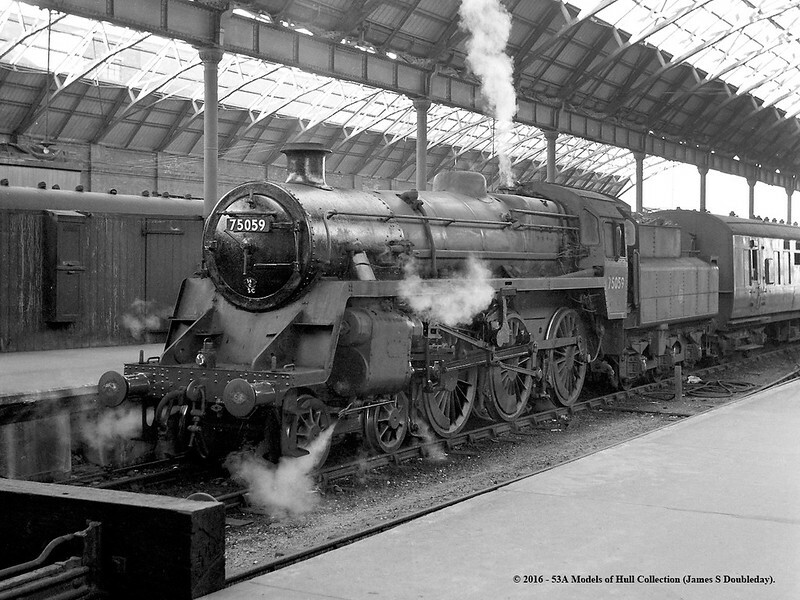 This image is from the collection of The Railway Correspondence and Travel Society (RCTS) ref. FAI2525 and is used here with permission. 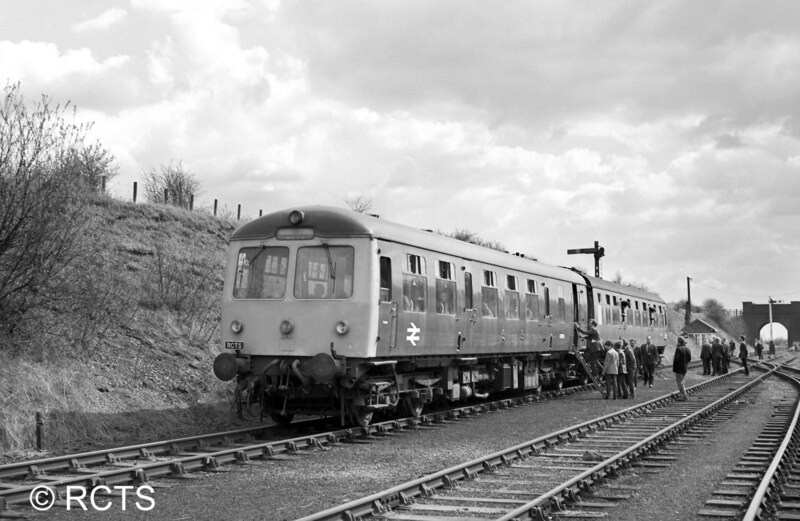 The RCTS 'Kesteven Ironstone Branches' rail tour at Stainby Sidings on Saturday 15th April 1972. This image is from the collection of The Railway Correspondence and Travel Society (RCTS) ref. FAI2527 and is used here with permission. This image is from the collection of The Railway Correspondence and Travel Society (RCTS) ref. FAI2526 and is used here with permission. I have just looked through your excellent and informative site and I would like to ask if you have any images (or know where I can access any) of the Exton Park ironstone mines; I know that there are some colour images out there somewhere. The reason I ask is that my father worked within the quarry system at Cottesmore and Exton all his life and I have fond memories as a boy of riding on Yorkshire Engine Co. locomotives over the whole system. 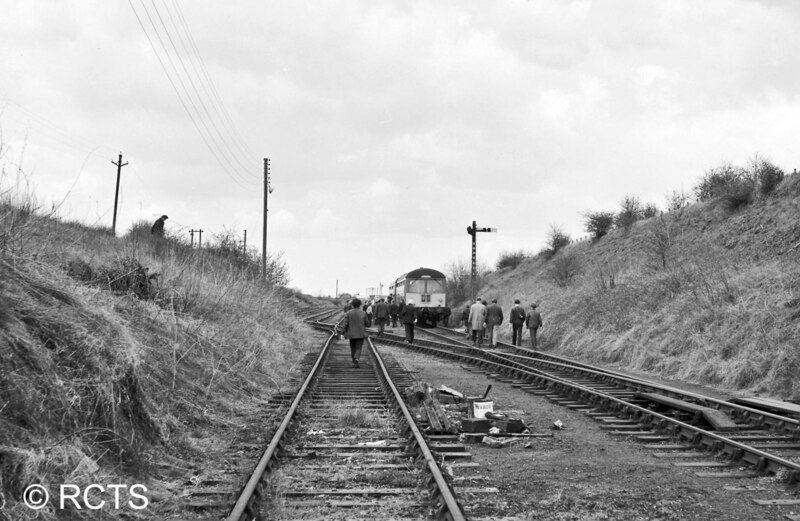 My father also told me that, on more than one occasion, locomotives were taken onto the British Railways main line from Ashwell to Saxby (via Ashwell Jn) with a BR pilot driver in order that they could be taken to mines in the Grantham area. He recalls that this was a favourite turn of Driver Len Boddington. I also remember a local driver called Walter Lowe who used to throw sweets to the children as he passed over one of the three level crossings in the Exton area. Any help with the photos would be appreciated. Thanks for getting in touch and for your kind words about Tracks through Grantham. Great memories you have there. The Exton Park Mines locality is just outside the area we cover in Tracks through Grantham, but the book I think you’d be interested to see is the Rutland volume of a very comprehensive series written by Eric Tonks. It’s available for £8 (plus shipping) from Book Law Publications. I don’t have a copy of that particular volume, so I can’t say how well the Exton Park mines are covered by photographs. It's possible that the Rocks by Rail Museum will be able to help.